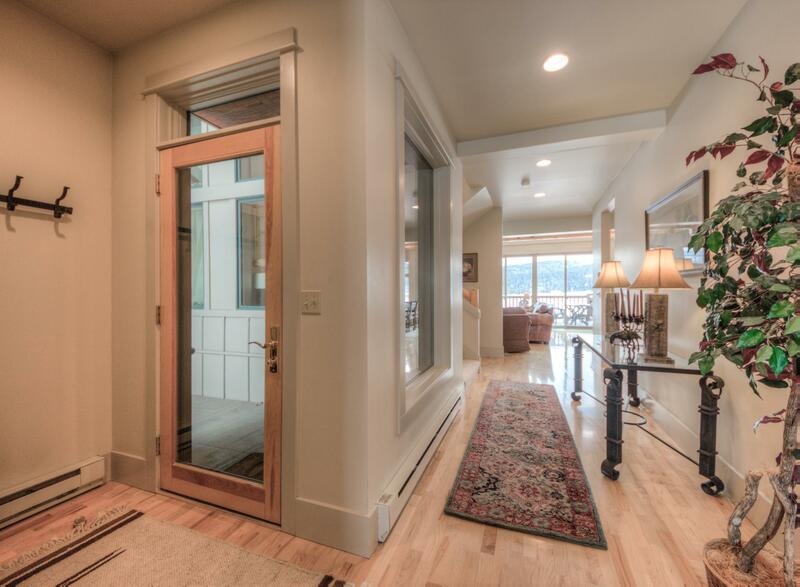 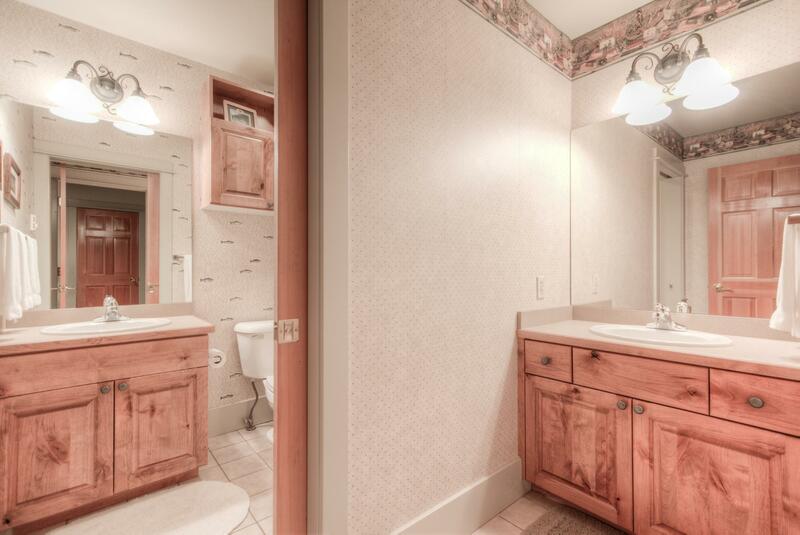 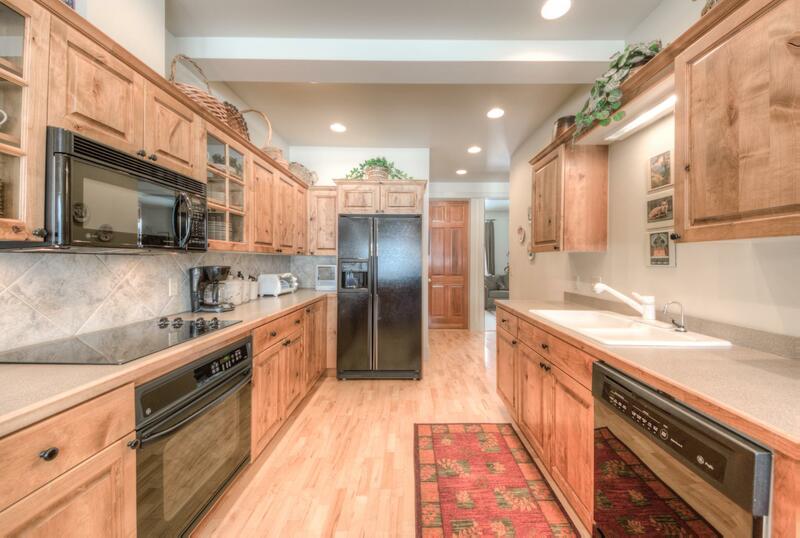 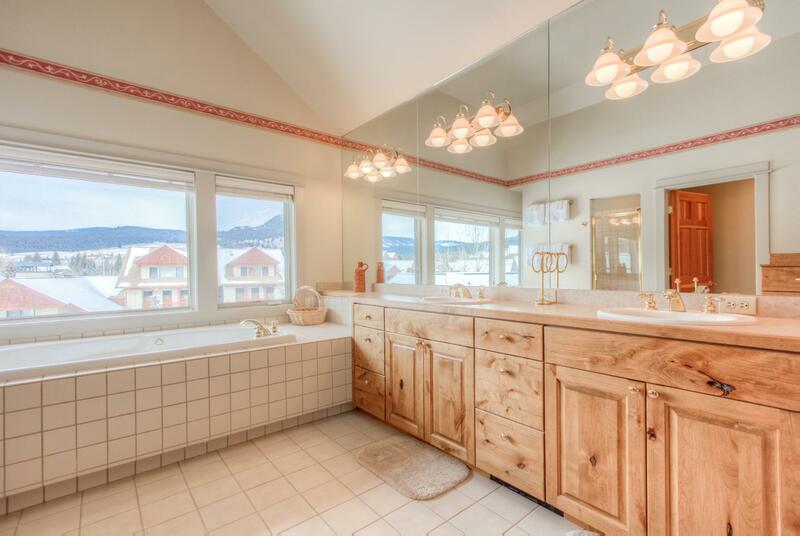 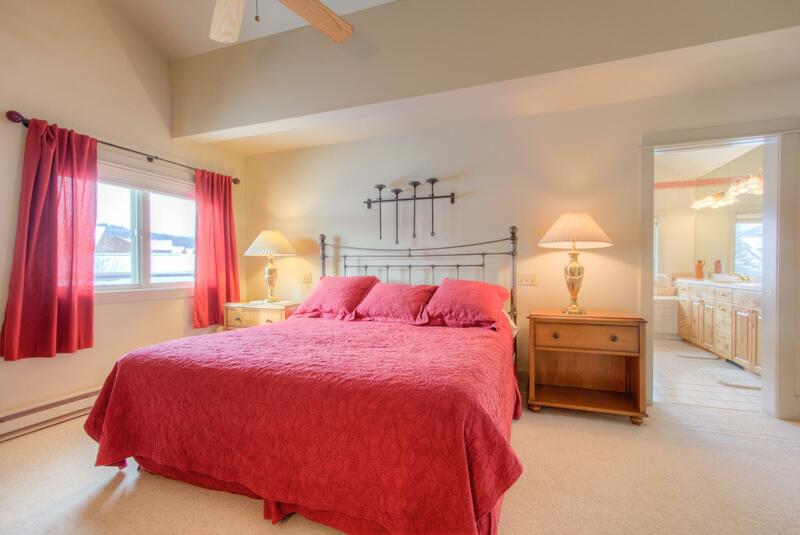 A light-filled deluxe condo with beautiful open living, vaulted ceilings, hot tub and golf course views. 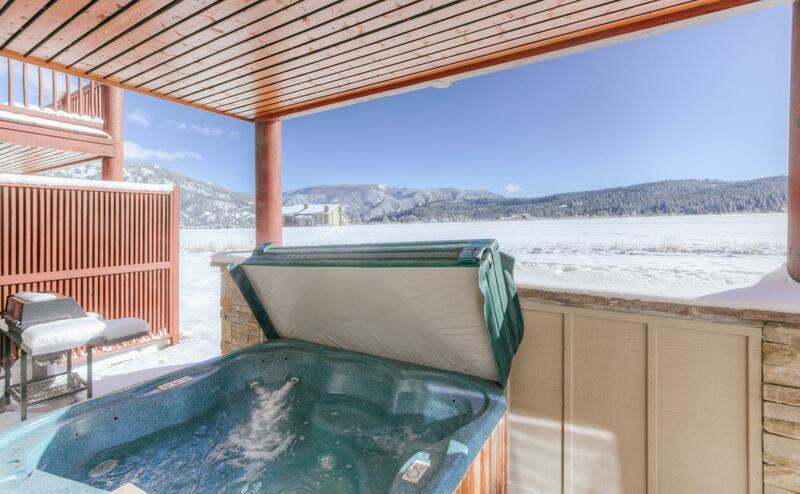 Relax in the hot tub overlooking the Big Sky Golf Course and enjoy frequent sightings of moose and elk walking right through the yard, or fire up the grill and enjoy a scrumptious outdoor meal. 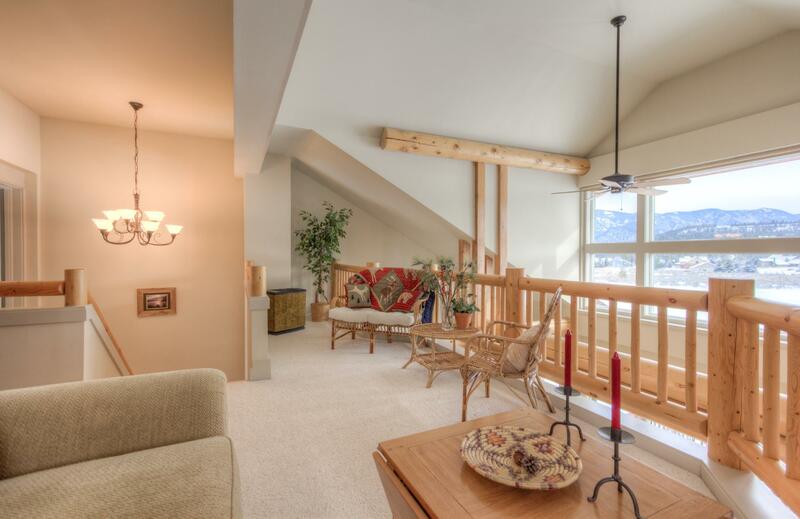 The condo offers three bedrooms, three bathrooms, and a beautiful open living room with vaulted ceilings. 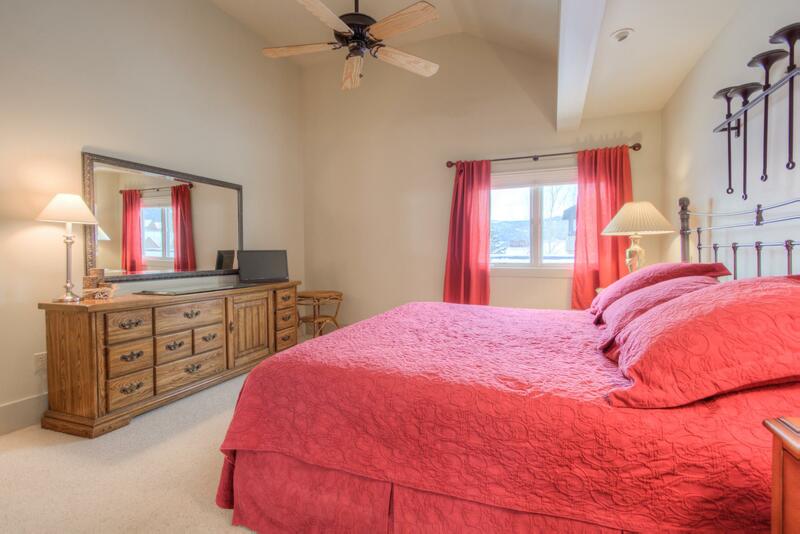 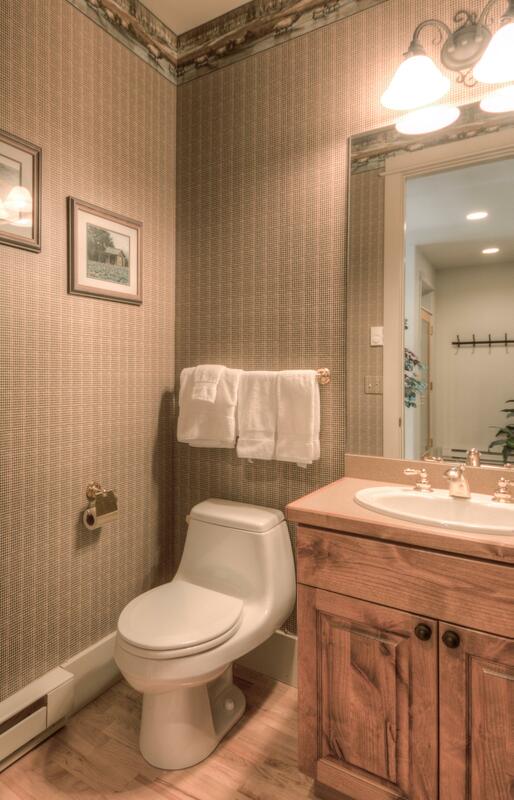 The first bedroom has a king bed and the second has a queen, each with a private bathroom. 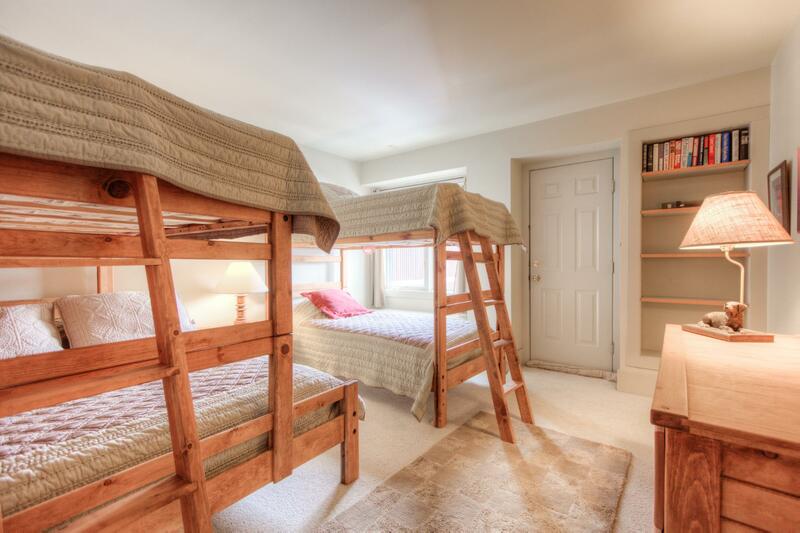 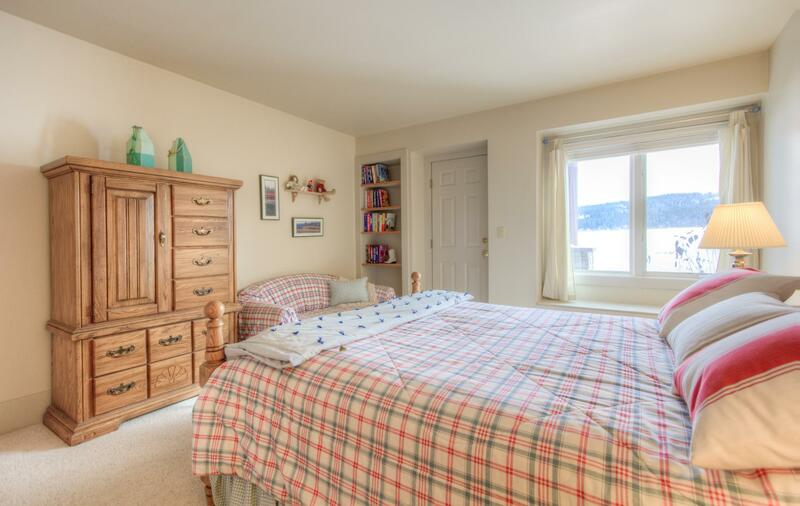 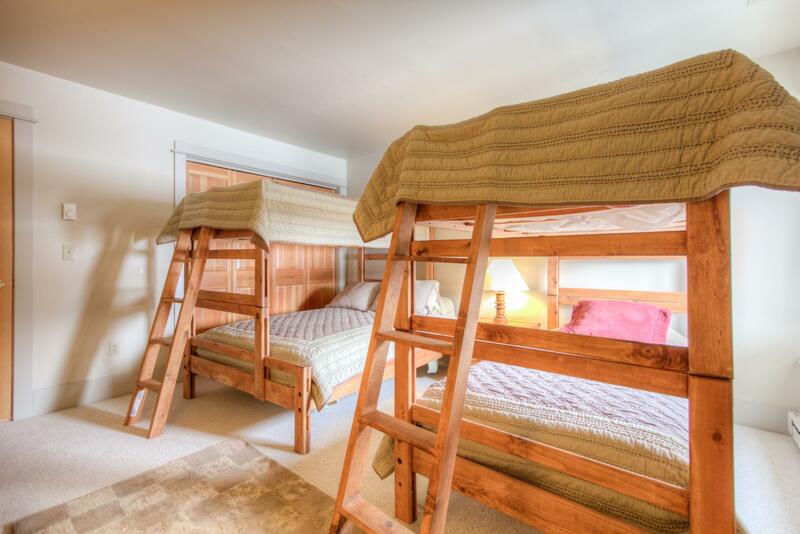 The third room is ideal for kids, offering a Captain’s bunk bed and twin bunk bed. 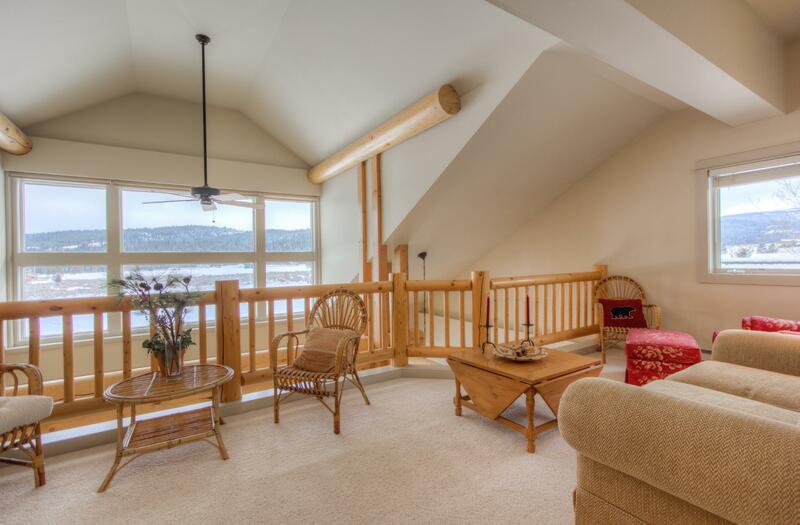 A loft upstairs provides a comfortable lounging area, and overlooks the incredible mountainous landscape beyond the home. 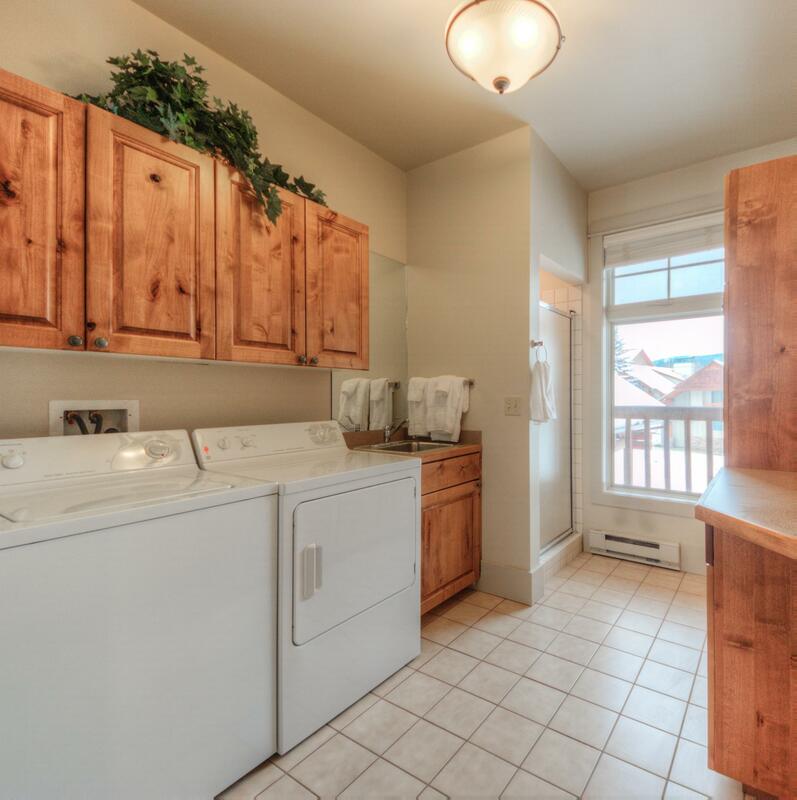 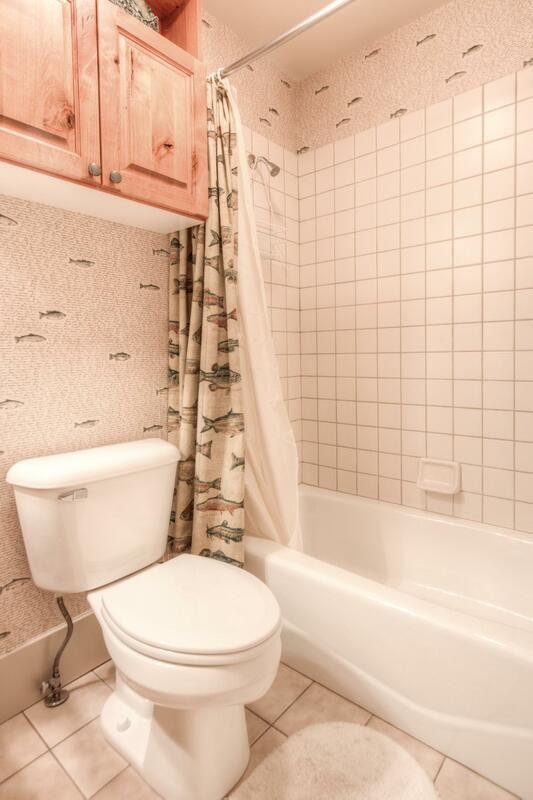 For your convenience there is a laundry room and a one car garage assigned to the condo. 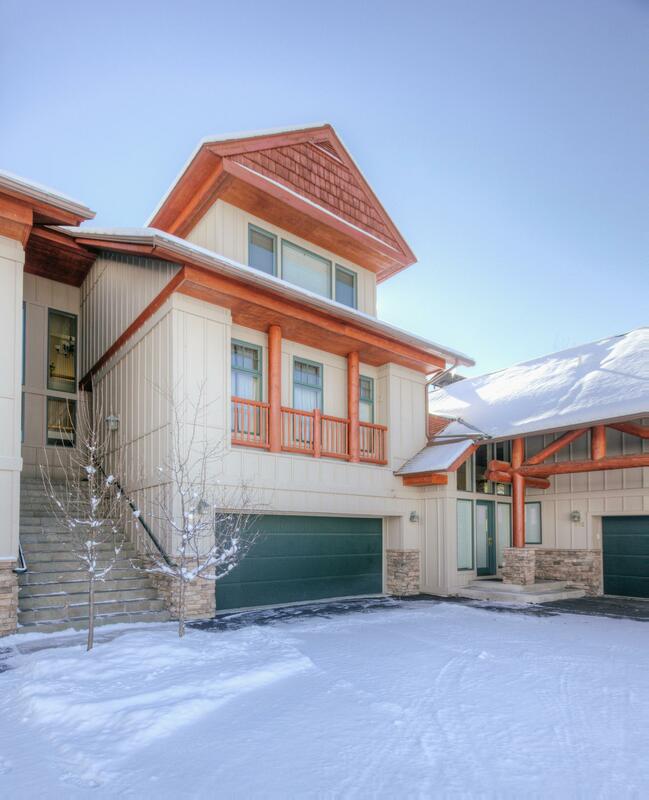 Crail Creek Condominiums | Unit 611 is rated 5.0 out of 5 by 3. 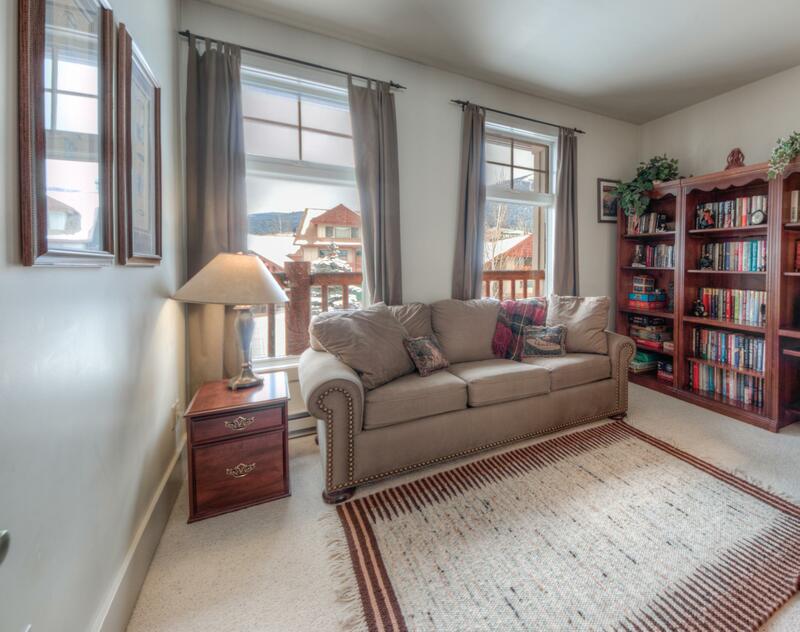 Rated 5 out of 5 by Brian M from Great condo in a great location! 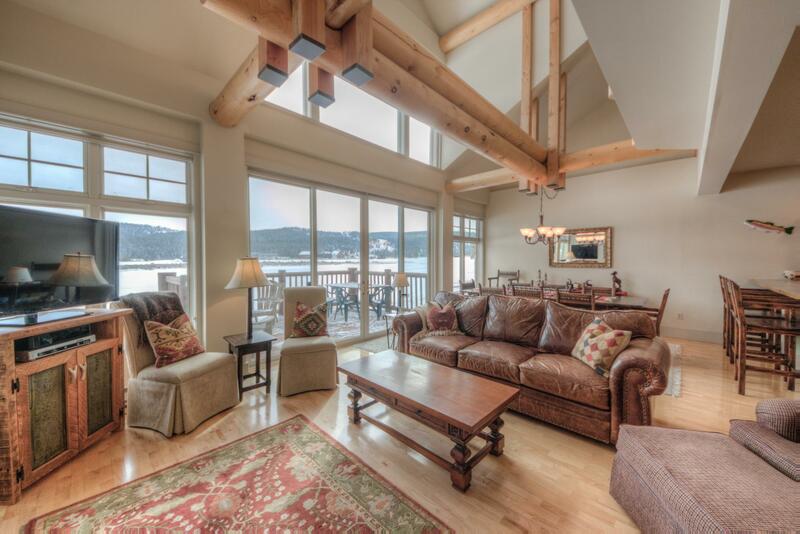 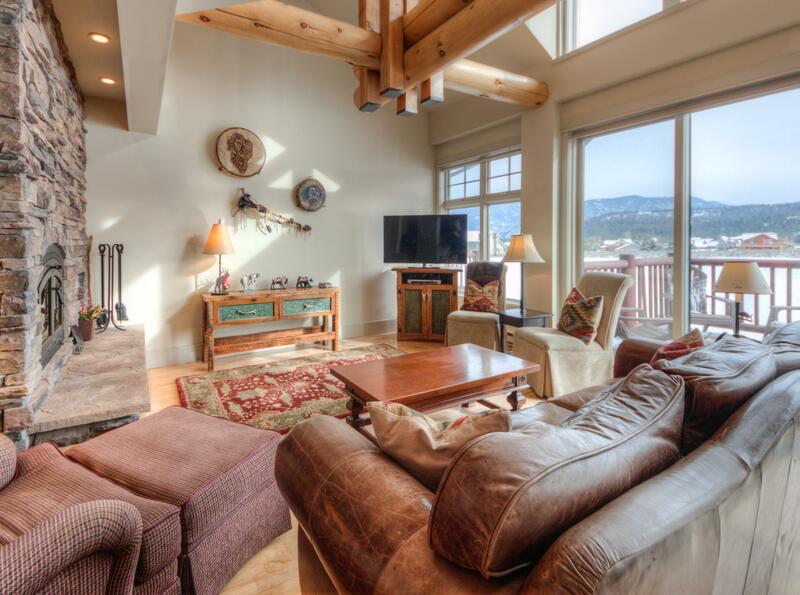 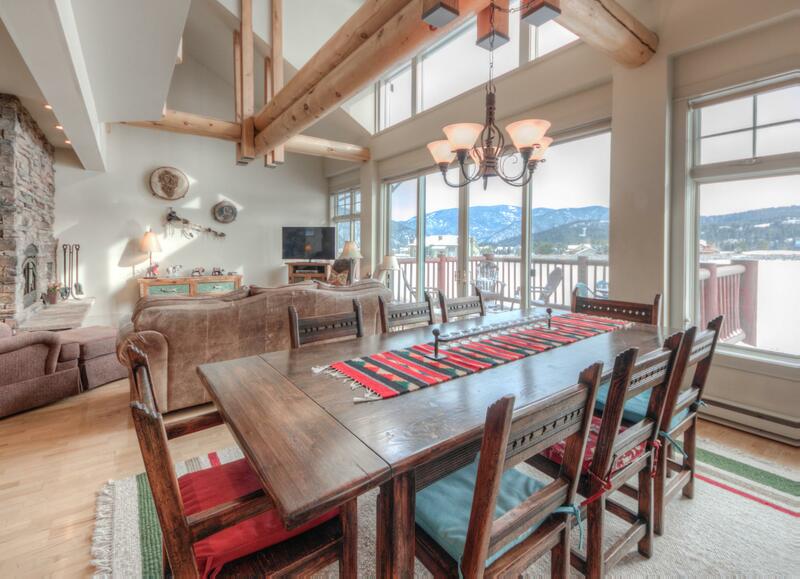 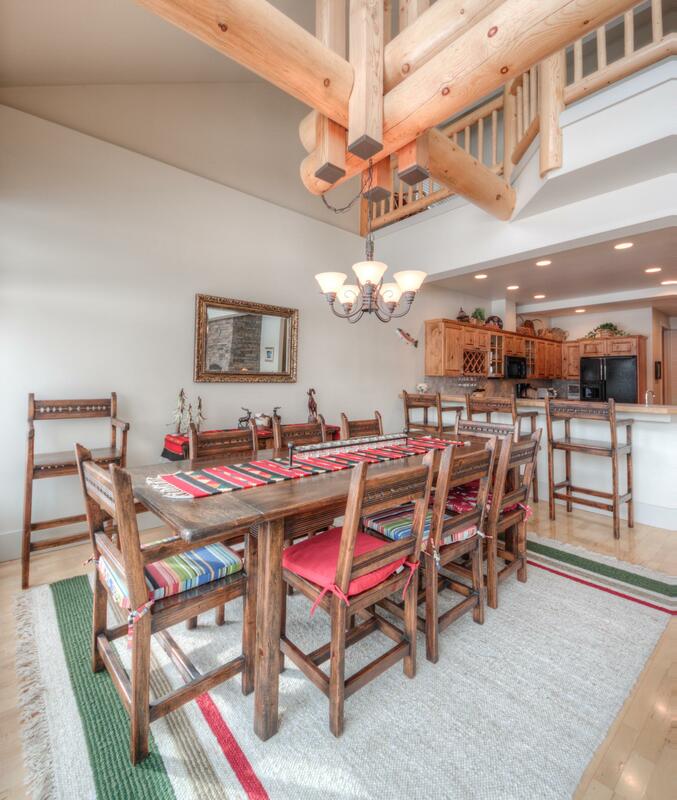 I stayed in this condo at the beginning of March with a group of 9 for a Big Sky ski vacation and the home worked out perfectly for us! 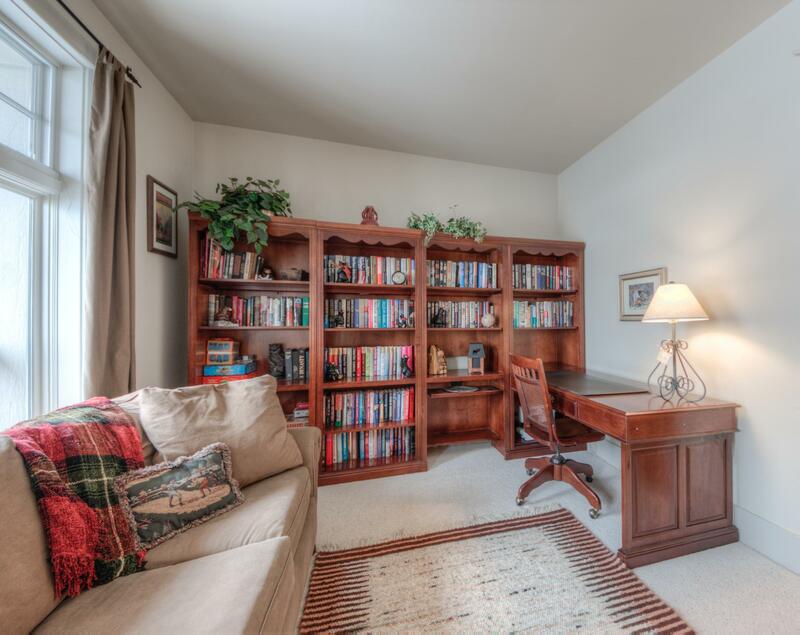 There was plenty of space for everyone and all of our gear and the unit was in excellent condition. 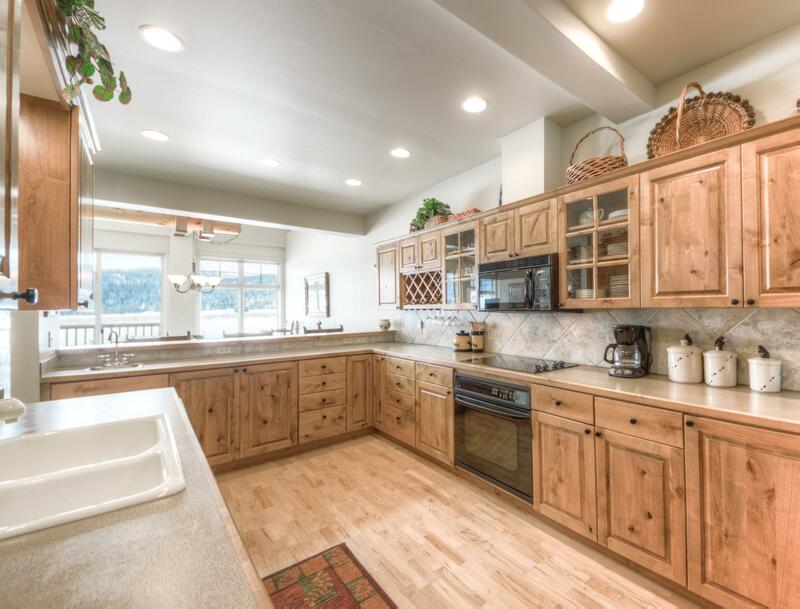 The kitchen was very spacious for our group to prepare large dinners for the entire group and there were plenty of pots, pans and dishes for everyone to use. 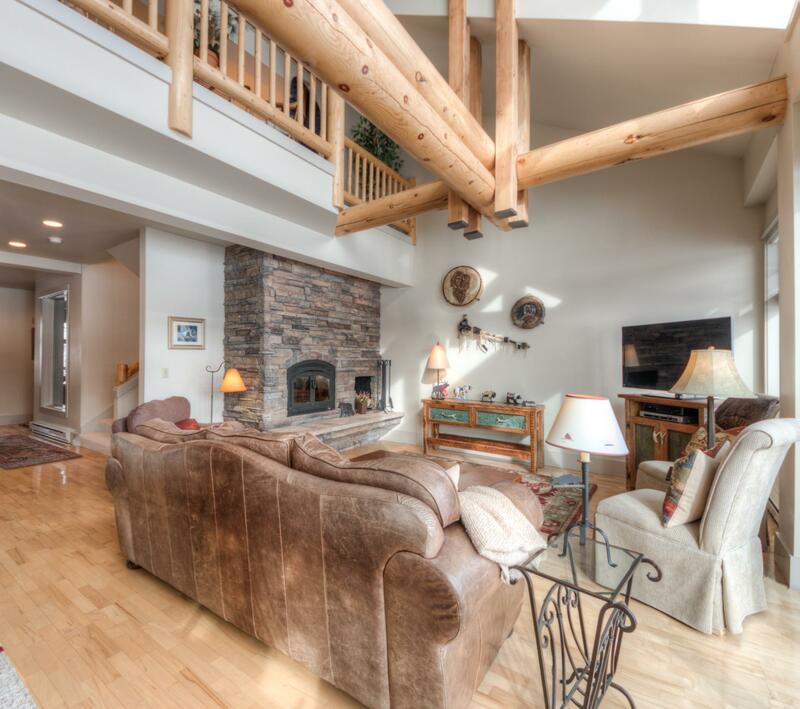 The fireplace was great and the home being fully stocked with firewood was a nice touch. 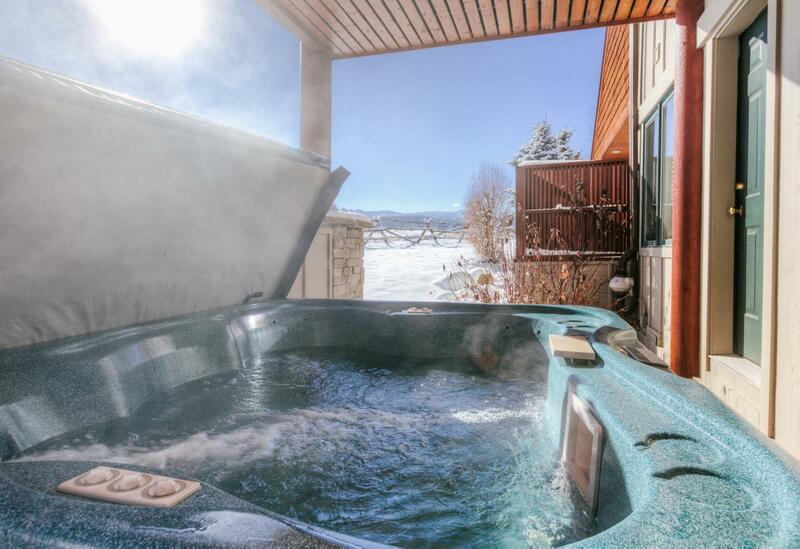 The hot tub was perfect after a long day on the mountain! 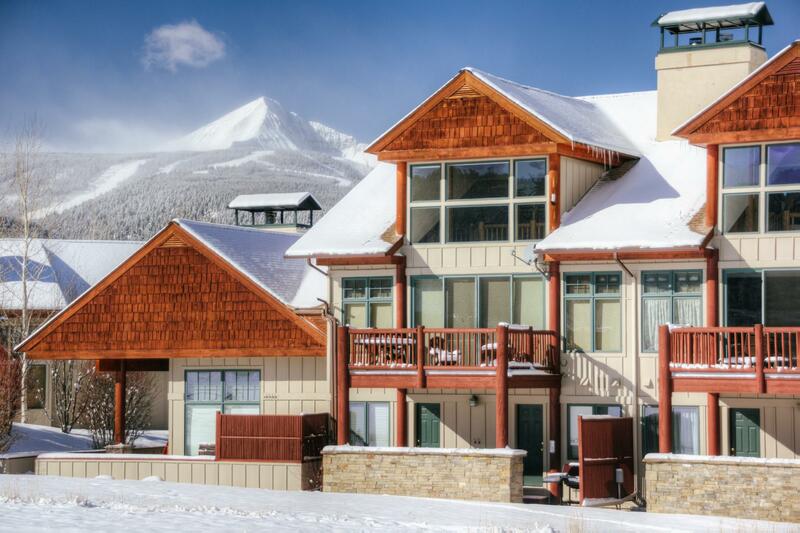 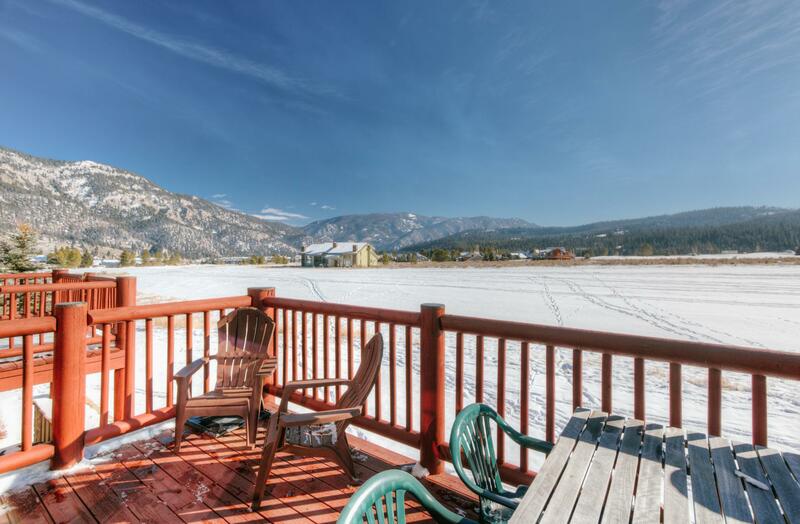 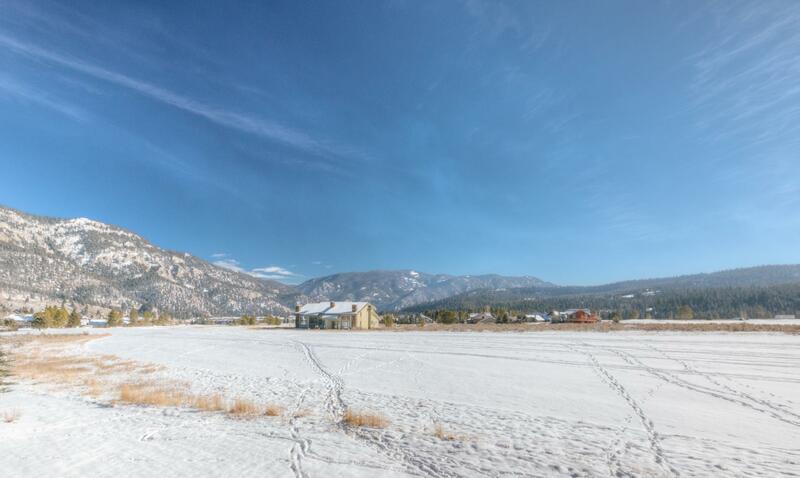 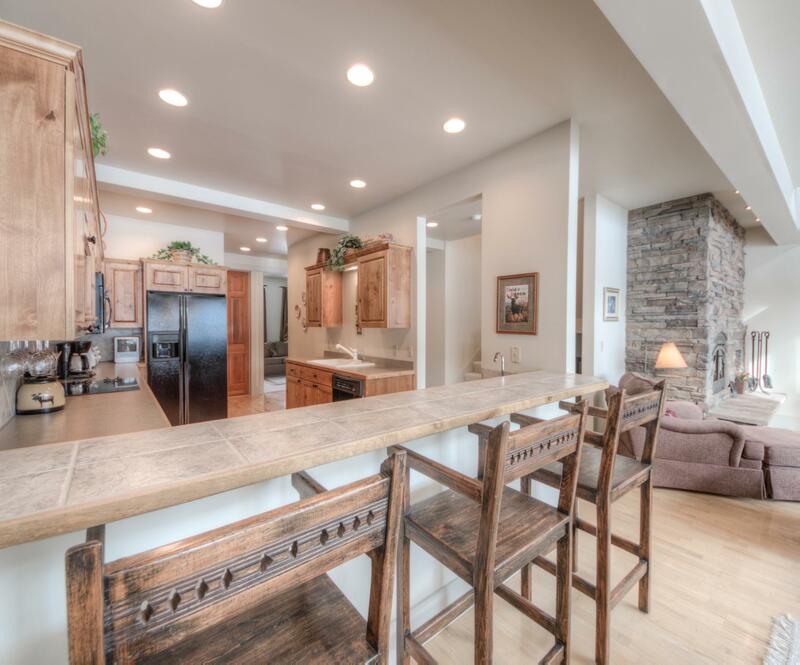 It is in a great location with a 10-15 minute walk to the shops and restaurants in Town Center and a very short drive to the slopes at Big Sky! 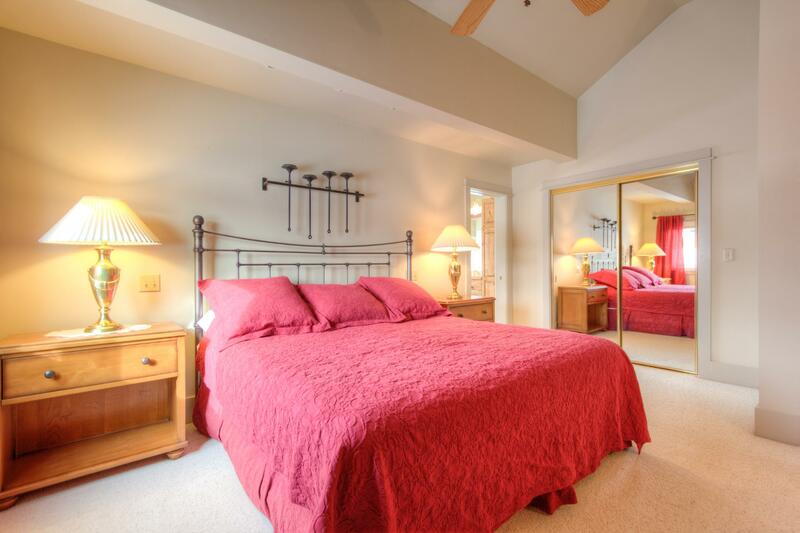 Would definitely stay here again! 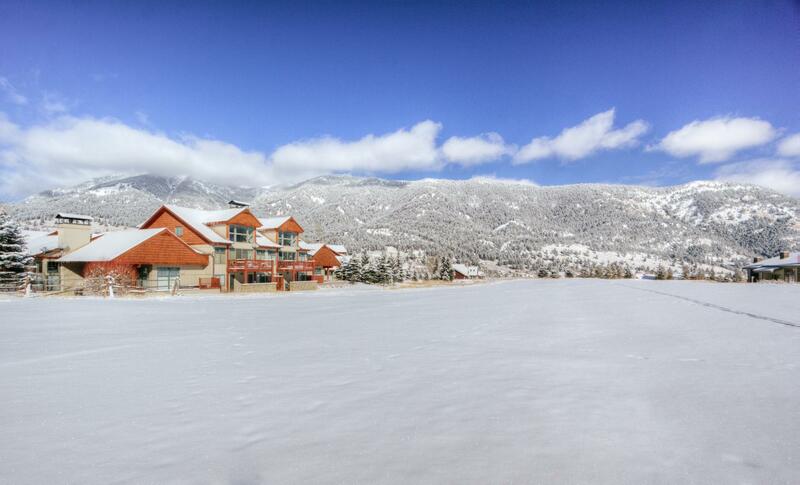 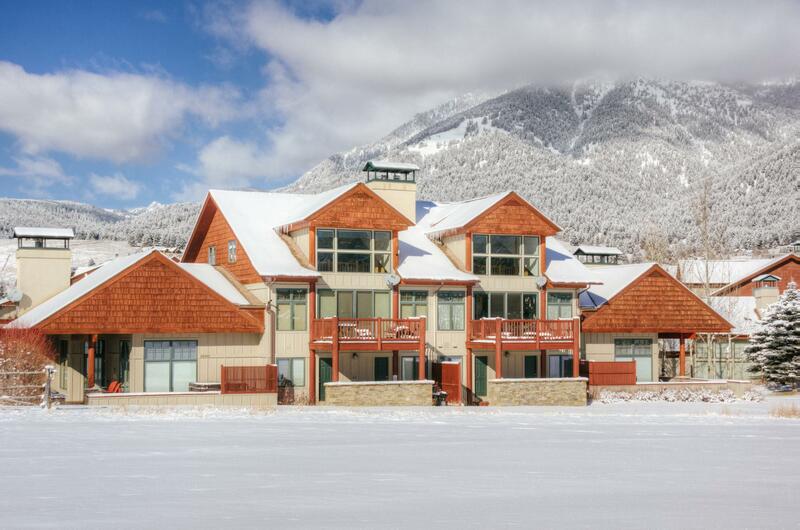 Rated 5 out of 5 by SkiYC from Perfect location and accommodations! 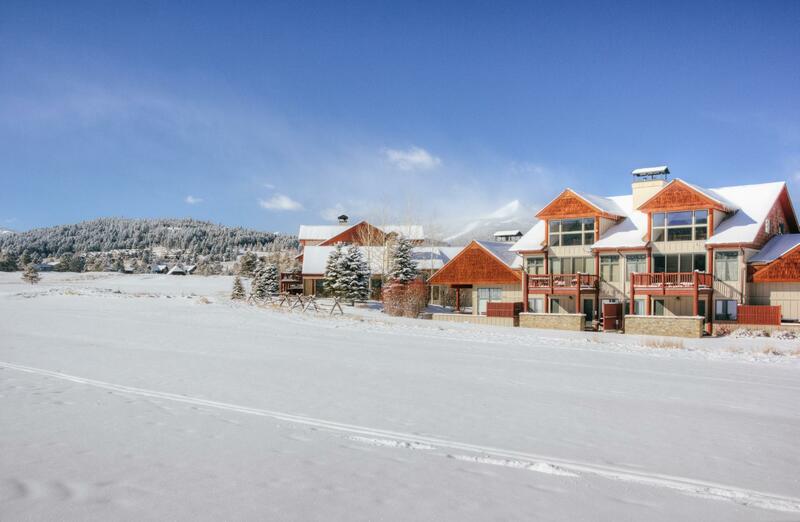 We spent a week at the home in march and loved everything about the experience. 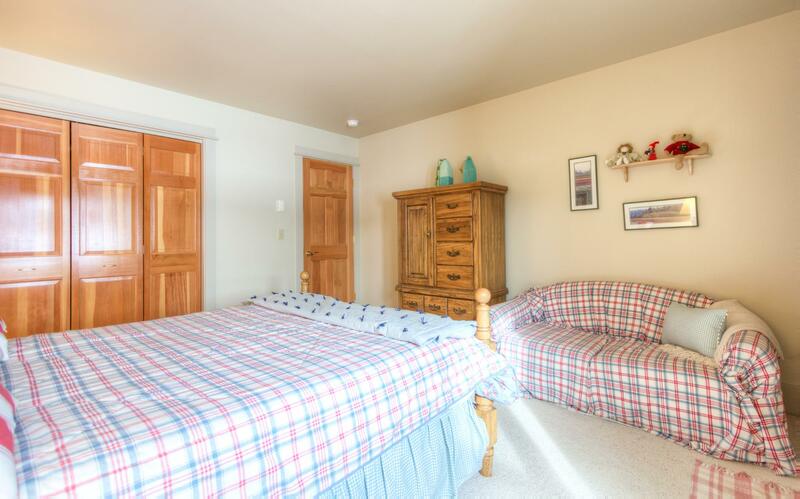 Rated 5 out of 5 by tstuart21 from Great Location, Great Ameniities, Clean! 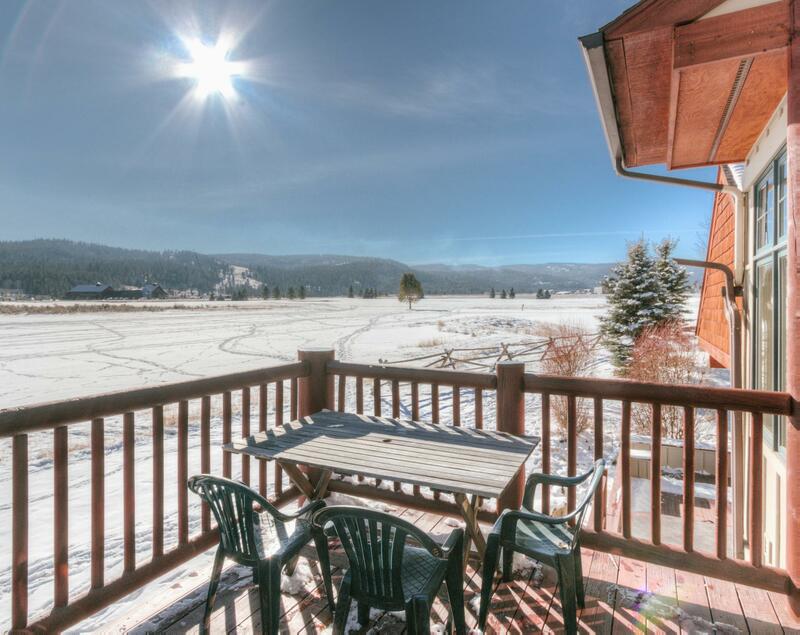 Visited with a group of 8 adults for our annual ski trip. 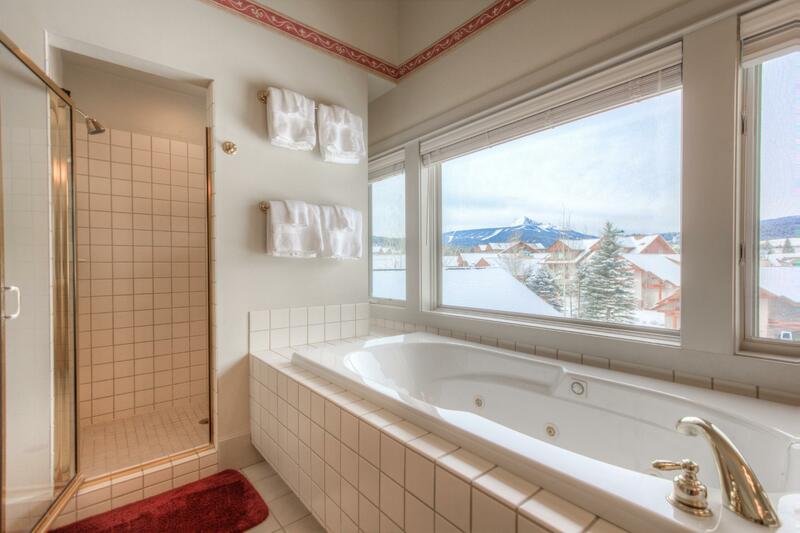 One of the better properties we've visited over our 25 year history (in terms of amenities, layout, location, cleanliness, etc).